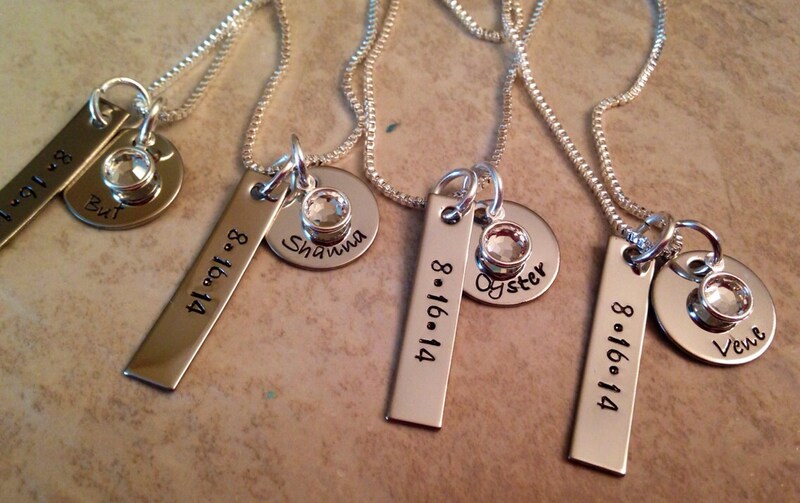 This listing is for a set of personalized necklaces (you do have the option to purchase only one necklace, though there is a discount per piece for any additional). 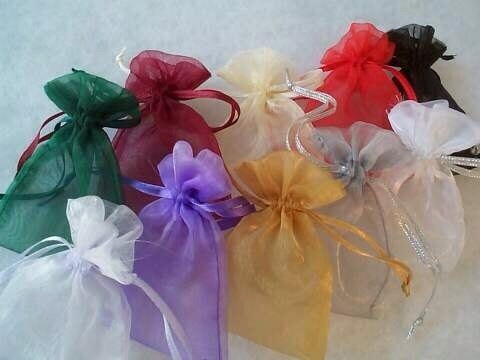 This is a fantastic option for bridesmaids, sorority sisters, friends, christmas gifts, etc. 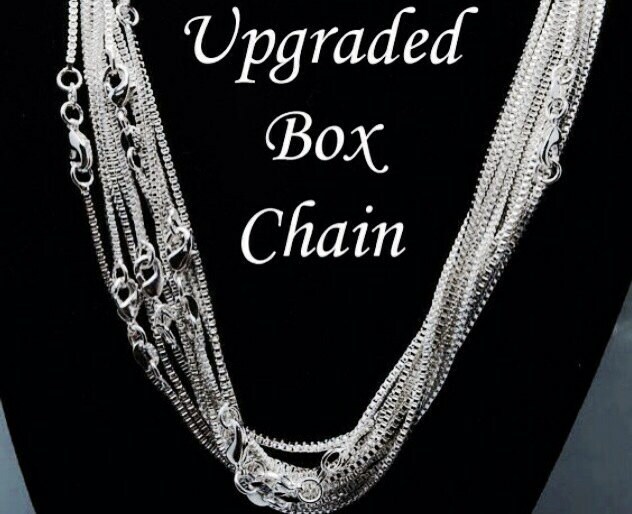 This listing includes the upgraded box chain! If you need more than 10 pieces, please let me know. 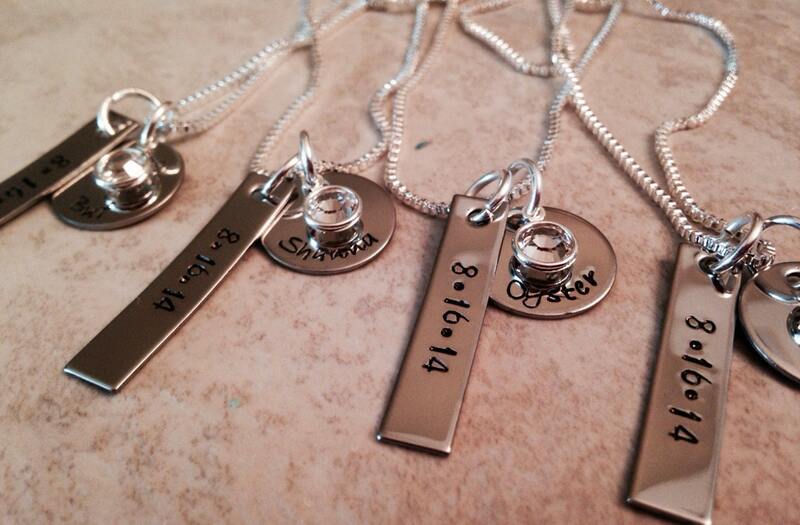 Each piece can be personalized to your liking--they do NOT have to be identical. 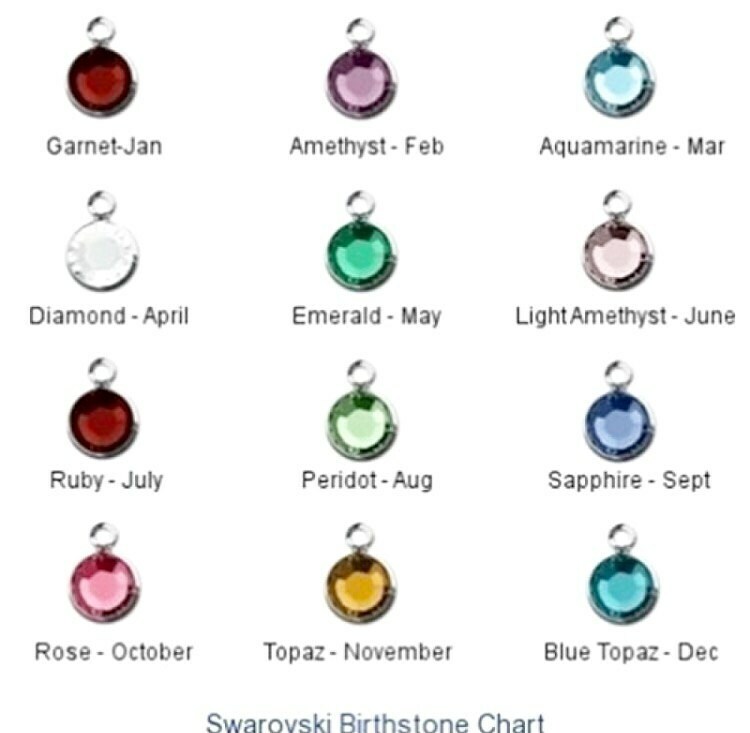 Includes the bar charm and a small round charm with a Swarovski birthstone crystal or freshwater pearl. Upon check out, please leave me the details for each piece, including what you would like written on each piece, and which crystal or pearl it should have.